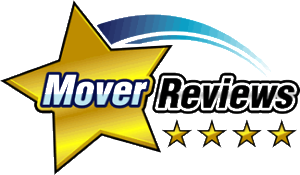 Stretch Your Moving Budget - Moving Services Inc. | Moving Services Inc.
Twenty tips on how to make and save money when you move. If your gas, electric or water utility never returned the deposit you made when you moved into your present home, ask for that money now. If you have paid your bills on time, also ask for a “good customer” letter to take to your new town. It might allow you to skip a utility deposit there. Coupons are an easy way to save on all kinds of purchases, from everyday meals and groceries to services for home and auto–even furnishings for your new home. You can find coupons online at such popular sites as Groupon.com and LivingSocial.com. A local Internet search for “coupons” in your city will give you even more options. If you will be living in another telephone area code, call your long-distance carrier now. They might have special programs available where you are going, or require changes from your present coverage. Or perhaps this is a good time to shop around among carriers to find a better plan. Investigate your options now and you might start saving money with the first phone call from your new home. Are you moving to a smaller place? There is a temptation to sell or give away furniture you think you won’t need. Wait! Many who downsize their home, retirees especially, arrive with too little furniture after paring down. When shopping for replacements they discover that new furniture is far more expensive now and they regret leaving pieces behind. It’s okay to sell things, but take with you any major pieces you think you might use. If you don’t need them after you’ve settled in, you can always sell or give them away. Round up the records now that you will need to take with you, including medical, dental, school and veterinarian files. This can save costly toll calls from your new home. Also, while you are at your present address, ask your kids’ counselors and coaches for “To Whom It May Concern” letters that tell what your child has accomplished in karate, after-school dance classes, swimming, etc. Having their achievements documented will help them fit comfortably into those same activities in your new community. You might want to hold the always-popular moving sale to dispose of what you definitely do not want to take with you. For tips on making the most of a sale, see our “How To Hold a Moving Sale” page. Among other tips, it offers questions you can ask the classified advertising department of your local paper about placing an advertisement, as well as advice on how to word an ad. If you donate items to charity, remember to ask for receipts, so you can document federal income tax deductions. Consider consignment. Offering furnishings to a local consignment shop can bring you more money than you would make from a moving sale at your home. Be careful about selling or giving away what might be quite valuable. If you have doubts about particular items, have them appraised. Many jewelry stores offer free appraisals. For antiques, rugs and other furnishings, check the Yellow Pages under “Appraisers.” Some of those services might be free as well. You might be one of the lucky ones who “finds” something worth big bucks buried in the attic! Is your pooch moving with you? You might start working now to gain some free pet-sitting credit with a friend or neighbor who also has a dog. Take his or hers for a day or so, perhaps while that family is away. Then cash in your chit on moving day or the day before. If you need Bowser out from underfoot, he will be far happier with someone he knows than in a kennel. And you’ll like saving the kennel fees. You’ll need to learn how to get around in your new community. A GPS or similarly equipped smartphone can help you navigate the streets. Or, you can find mapping resources online at sites such as maps.google.com or mapquest.com. If you prefer traditional folded road maps, you can likely get them for free. Ask your real estate agent or relocation consultant, or check with the chamber of commerce or local tourism bureau. Large banks often include a street map in their newcomer kits (more about banks later). After you move, you may want to take an occasional break from settling in to do some exploring. You can usually get plenty of free printed materials about what to see and do in your new community from your local chamber of commerce, convention and visitors bureau, and local or regional historical societies. Most such organizations also provide information about area attractions via their Websites. Discovering all that your new community has to offer can be fun for the kids, too… you might even let them plan the family’s first sightseeing excursion. About banks and their newcomer kits: By all means call or write for one of those packets. They are likely to offer some free product, service or discount to welcome you. Are you a “trailing spouse”? Get busy now to increase your chances of finding work soon in your new locale. First, take advantage of your spouse’s corporate relocation program and its assistance for working spouses. You may contact the same insurance company that holds your present homeowners or renters policy to get a quote for coverage at your new address. But don’t stop there. Costs vary among carriers for the same coverage, and you might be able to save. Shop around, and use the Internet to make researching easy. Contact the Welcome Wagon. Although it is not in every community, you might be lucky enough to find it where you are. Look on the Internet or find the phone number in the White Pages under “Welcome Wagon.” A “hostess” (most representatives are women) will deliver a basket of free goodies to you which will include small gifts and discount coupons from area merchants. Check out AngiesList.com and Yelp.com for local, non-biased reviews about restaurants, lawn services, heating and cooling companies, doctors, and more. During the days right after you move you’re bound to receive something in the mail good for a free or discounted product or service from those eager for your business. So don’t be too eager to toss out what looks like junk mail — it could be worth money or gifts! For example, some supermarkets send neighborhood newcomers coupons good for a complimentary breakfast — free eggs, bacon, bread and juice. A nursery might welcome you to town with a coupon for a free plant when you stop by. You might want to join the local Newcomers Club. Such groups may offer free or inexpensive ways to see the town. Also, these clubs are a good way to meet people and make new friends. There may be bridge games for members, current affairs groups, sightseeing trips, and crafts sessions. They may have groups interested in food, who meet for gourmet gatherings in someone’s home where everyone brings an interesting dish. Visit the library in your new town as soon as you can. Some have framed art that can be borrowed for one or two months with just a library card. You might find a few paintings or sketches to fill bare spots on your walls for a while.